The 39-year-old version of Adrian Beltre has more hamstring injuries and isn’t as powerful as his previous iterations, but when he connects on a pitch, it sounds lovely. 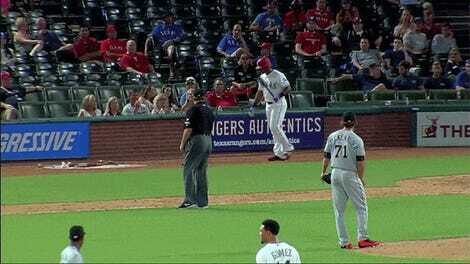 And regardless of his age, the Rangers third baseman will always have the same reaction when someone tries to touch his head. 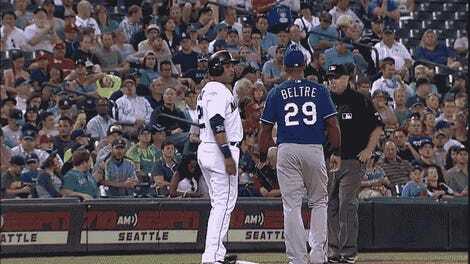 Just as Beltre hates having his noggin touched, comedic foil and Rangers shortstop Elvis Andrus loves to touch it. 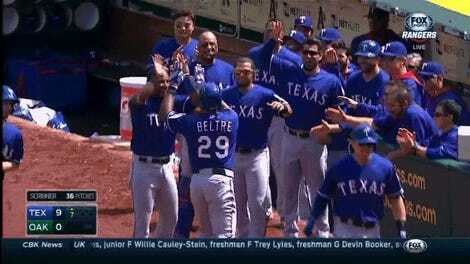 After Beltre’s solo shot in Tuesday’s 4-2 win over the Angels, the high-five session in the dugout turned into a standoff with his favorite teammate. A bat was involved. 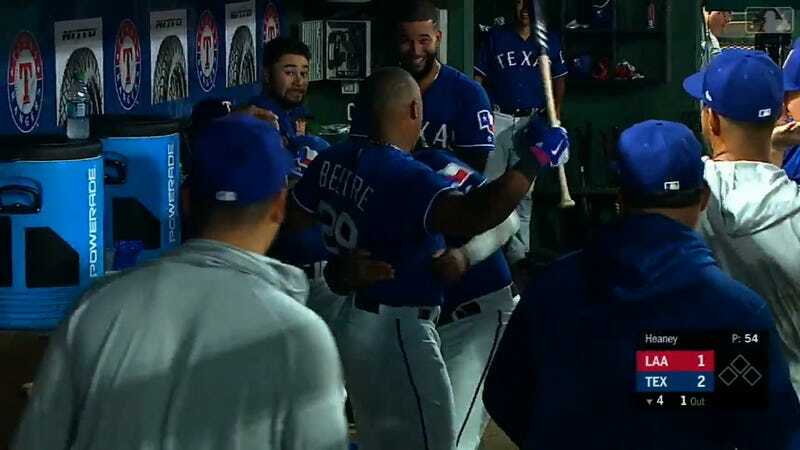 The best part is that Beltre’s teammates in the background are smiling but still unsure that he won’t actually clobber Andrus with a baseball bat. Always keep them guessing.